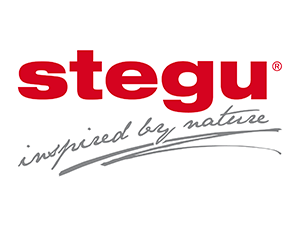 Stegu is a well-recognized European brand offering its customers a wide range of wall cladding, constantly widening its offer with new collections: decors, garden elements and wooden wall panels. For more than 20 years Stegu has been manufacturing stone veneer products inspired by nature, using only natural materials and pigments, in line with main decorative trends. Durability, colour nuances and refinement are the main chracteristics of Stegu products that perfectly match with traditional and modern interiors. Decorative wall and façade cladding is offered in different colours and shapes to satisfy various tastes. They may also perfectly serve as insulation and protection from dirt and physical damage. In addition, they are fire and frostproof. Thanks to fully automated manufacturing lines (most advanced in the world) and innovative approach to production process (in-house laboratory, R&D department), Stegu is constantly expanding its distribution. Stegu products are available worldwide in the largest international retail chains and wholesale market in Germany, France, Sweden, Hungary, Lithuania, Italy, Czech Republic, Slovakia, Austria and Romania. Interior and exterior artificial stone (in a form of a panel or a brick) is made respectively on the basis of gypsum and concrete. It’s an affordable alternative to natural stone, with the same benefits and an easier installation. Lightweight, highly durable products that are perfect for any property. Their unique design means less labour for installation, and they can be easily applied to any surface. Stegu products bring a classy, elegant look to a wide range of areas, either business or residential. Tiles and corners made of gypsum thanks to versatile shapes, sizes, styles and colours give almost infinite amount of options for renovating the walls. Decorative stone can change any interior into a remarkable place with its unique character. Wide variety of forms and colours of elevation stone perfectly match with glass, metal, and classic architecture. It’s frequently used on fences, external facades and interior walls. Stone softens rough architectural forms, visually making it more friendly to the eye. Facade stone is durable, yet very easy to maintain. Produced in the form of easy to install panels is much lighter than natural stone. Because of the universal structure it can be installed horizontally or vertically. It’s also possible to paint the surface. Products from Wood Collection line allow various decorative applications – not only as wall panels. They may also find interesting use horizontally – as table tops covered with decorative glass, part of a stair-head, or as part of the floor in the living room. An additional advantage of Wood Collection panels, except for the visual features is simple installation. All panels are FSC certified.